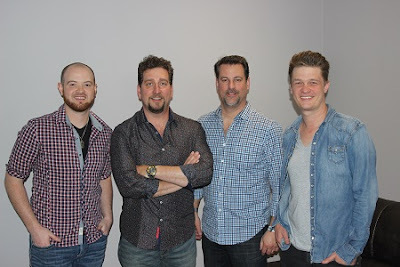 Country duo Wilson Fairchild is pleased to announce they have signed an exclusive agreement with Nashville based, ArtistLive Agency for booking representation. The acclaimed singer/songwriters will work closely with ArtistLive Agency’s president, Deric Brown for future shows and appearances. "It's an honor to work with Wilson Fairchild,” says Brown. “The new project they just released is great and we are excited to be part of this team!" Wilson Fairchild will be hitting the road in support of their latest album, Songs Our Dads Wrote, which pays tribute to their fathers, Harold and Don Reid, both founding members of the iconic Statler Brothers. Upon its release, the album has become a must-have for fans of the legendary quartet. The album also features the Wilson Fairchild penned tribute song, “The Statler Brothers Song.” The collection, released exclusively by BFD through RED Distribution is available NOW on iTunes, Amazon and wherever music is sold. There is a lot more to come in 2017 for Wilson Fairchild, who will return to the Grand Ole Opry on May 25 at the world-famous Ryman Auditorium, where they will pay homage to their fathers. Other artists confirmed to also appear on the show include Dailey & Vincent, Statler Brothers member Jimmy Fortune, William Michael Morgan and more (purchase tickets HERE). Fox News is also taking fans inside the dynamic duo’s career, spotlighting some of their most memorable moments growing up traveling on the road with the Statler Brothers, opening shows for country artists like George Jones and beyond.